NATO Secretary-General Jens Stoltenberg fuelled World War 3 fears as he repeated once again the Allies are standing by the side of Washington over the INF row with Moscow. "Our government is firmly in the camp of looking for an opportunity to have an arms control agreement that would include all the countries that have these intermediate ballistic missiles", U.S. Ambassador to NATO Kay Bailey Hutchison said during a Tuesday call with reporters. NATO Secretary-General Jens Stoltenberg warned Wednesday that the military alliance is studying a range of options to deal with what it insists are Russian violations of a key missile treaty but that it wants to avoid sparking any arms race. Mr Stoltenberg reiterated Russian Federation has breached the treaty multiple times, saying: "All European allies agree with the United States because Russian Federation has violated the treaty for several years". 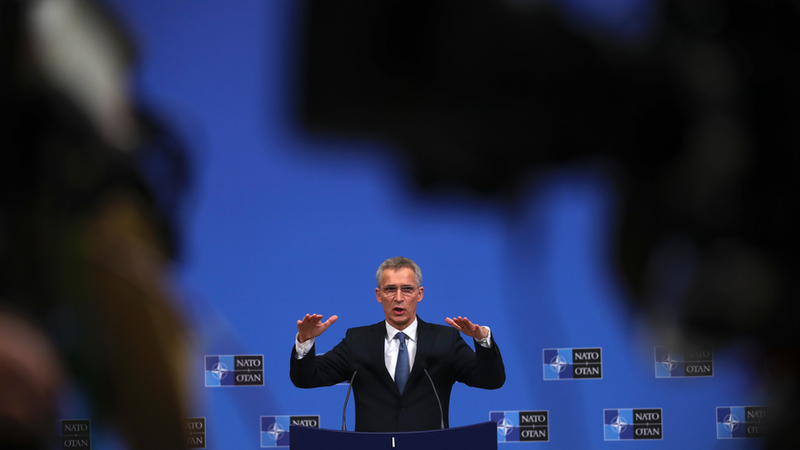 Stoltenberg reiterated that "NATO does not want a new arms race". "They have announced a lot of new nuclear weapons systems and they have used force against a neighbour in Ukraine". Russian Federation insists it has a range of less than 500km, and claims United States target-practice missiles and drones also break the treaty.